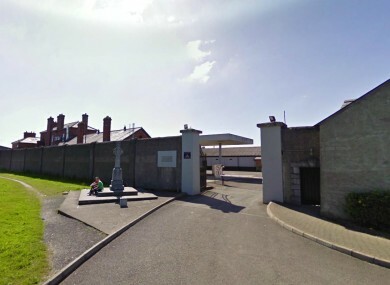 THE DEPARTMENT OF Defence is looking to rent new military training premises in all four towns where Defence Forces’ barracks were controversially closed, it has emerged. The Department yesterday published adverts in local papers in Cavan, Mullingar, Castlebar and Clonmel seeking properties to rent. The towns are already home to State-owned barracks which were all slated for closure last November. This ad was published in both the Westmeath Independent and the Westmeath Examiner. Minister Alan Shatter confirmed yesterday that an advert had been placed in local media in Cavan, seeking a property for the training of reserve forces. However, he told the Dáil that he did not believe it would be necessary to rent premises in other towns where barracks had closed. He was speaking after the advertisements had been published. Shatter said he could not state definitively that no property would be rented, but singled out Mullingar as a town where it would be unnecessary because the Athlone barracks is close by. The Minister suggested that renting a property would be more cost-effective than running a barracks on a “24/7″ basis. The adverts seen by TheJournal.ie specify “annual rent” and make no mention of temporary or shared use of the property. The Department of Defence did not immediately respond to requests for comment last night. Former Labour junior minister Willie Penrose resigned from the government in November over the closure of Columb Barracks, saying it was “not backed up by the facts and figures”. Email “Dept of Defence looking for new bases in four towns where barracks closed”. Feedback on “Dept of Defence looking for new bases in four towns where barracks closed”.